Do you wish you could spend more time with the Peanuts gang on your iPhone, iPod touch, or iPad? 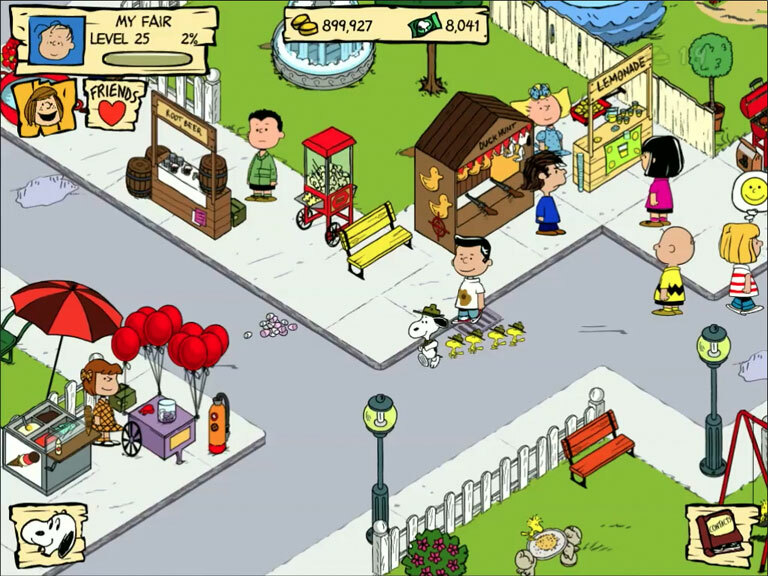 If so, you may enjoy the new game Snoopy's Street Fair from Beeline Games. In the game, you help the Peanuts gang build and organize a street fair in order to raise funds for new baseball uniforms. The street fair includes booths such as Sally's Leomonade Stand and Lucy's Psychiatric Help stand (of course! ), among others. Snoopy's part of the game too, although his antics may hinder as much as help. Snoopy's Street Fair will be a "freemium" game - it's a free download, and if you spend enough time playing the game, you can unlock the game's features, such as additional Peanuts characters, costumes for Snoopy, mini-games, and Peanuts comic strips for free... or you can also make in-app purchases to progress faster. 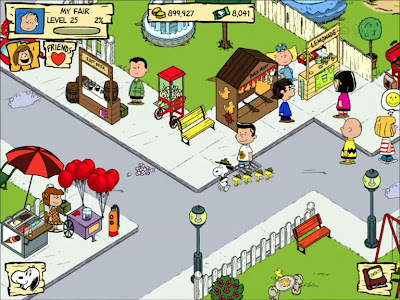 Snoopy's Street Fair is now available from the US app store and the Canadian app store. So far, only an version for iOS deveices has been announced.